I am a huge fan of classic comedy television. I was disappointed in the lack of solid good comedy tv over the past few years until Blackish! Not only is it funny and witty but the fashion is modern and eclectic. From the father, the children and the home esthetic. 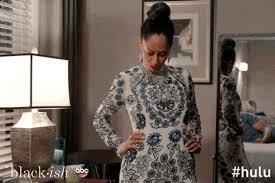 I need to applaud the talented costume designer Stacy Beverly for creating the effortless chic styling.